Why: A Logical Explanation of Life is a logical, systematic and objective explanation of the meaning of life. It argues that whether or not there is a God or an afterlife the most logical conclusion we can come to is that the meaning of life is to fulfill our potential by achieving self actualization. The book goes on to explore how the process of achieving self actualization are survival, learning, thinking, creating your philosophy on life and creating your identity. 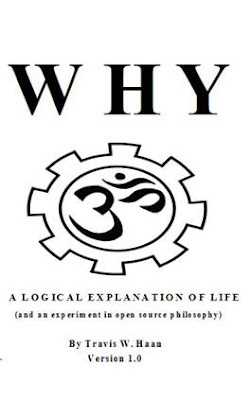 No matter what beliefs you hold prior to reading ‘Why’ they are sure to be challenged. The author goes on to challenge anyone who is not satisfied with his answers to modify his book and redistribute the new version to help anyone else looking for answers better understand our world and their lives.